Brown Betty (B.B) - L.E.A.N. 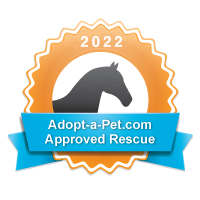 Brown Betty (aka “BB”) came into LEAN from Animal Control in July 2014. She received a year of training under saddle before being adopted in 2015. After 3 years B.B. returns to L.E.A.N. when her adoptive family’s life circumstances take a turn. She is in great condition and has been ridden regularly. 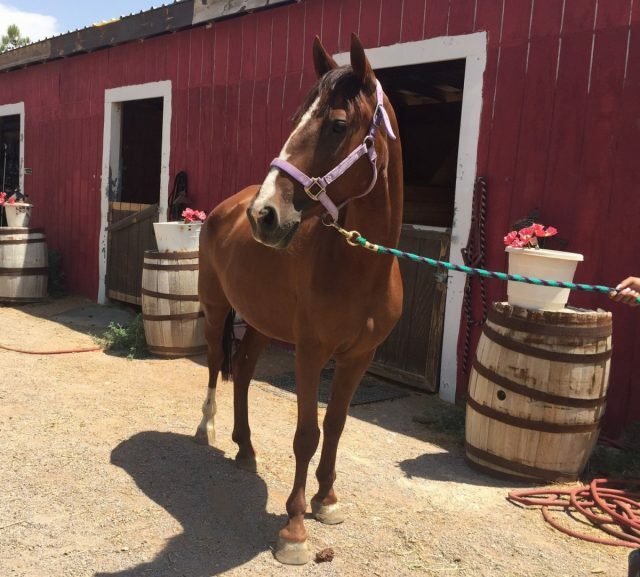 She moves into veteran foster trainer Esther Hillner’s facility. 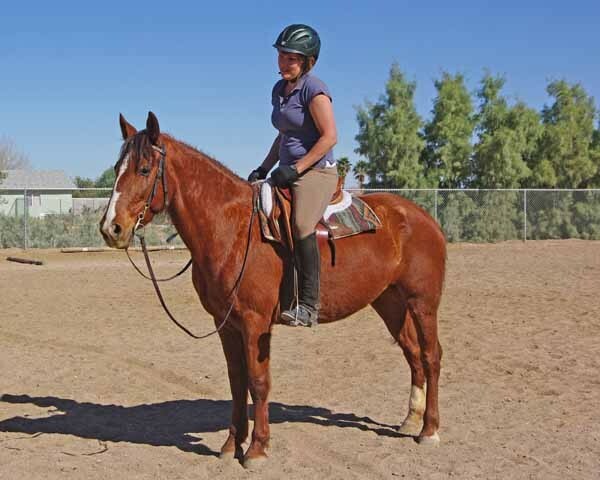 BB is a lovely pony mare with fusing stifles who requires an experienced lightweight rider. Want to Adopt Brown Betty? B.B. 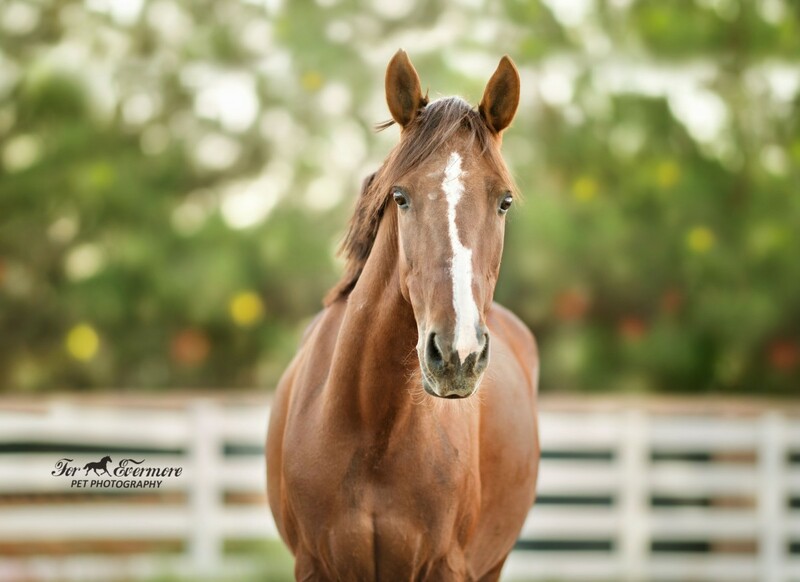 is available for adoption as a light trail horse or light arena work. 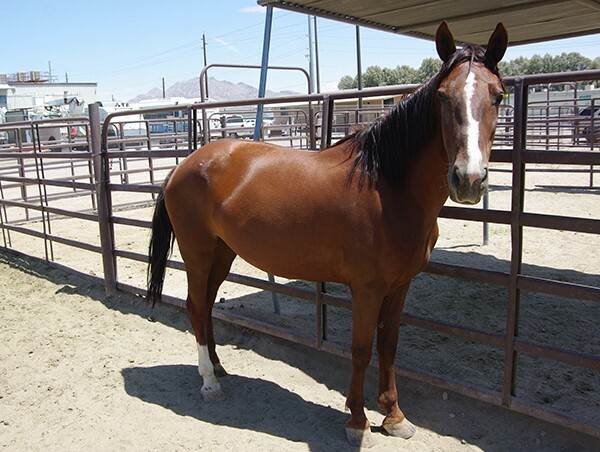 She has juvenile arthritis and her hocks are fusing, which causes mild lameness. We injected her hocks and achieved a 90% improvement. She requires an experienced rider of no more than 100 lbs, plus saddle. Become a Sentinel for B.B. !